Posted 7:04 am by Rena Anya Devéza & filed under Alexander Technique, Alexander Technique Teacher Training. Some people go to a monastery to make a retreat…me, I return to Paris. Paris, according to a close friend of mine, is my spiritual place. I go there for my personal reset. And to get back in touch again with that part of me…I flip from being new yorkaise to being parisienne. For me, Paris in July means walking shopping hanging out walking eating drinking shopping hanging out eating drinking walking shopping, over and over again, oh, and having moments of pensive solitude too. No museums and stuff like that…too crowded for me. Gotta see my friends. Gotta go shopping…it’s sale month! 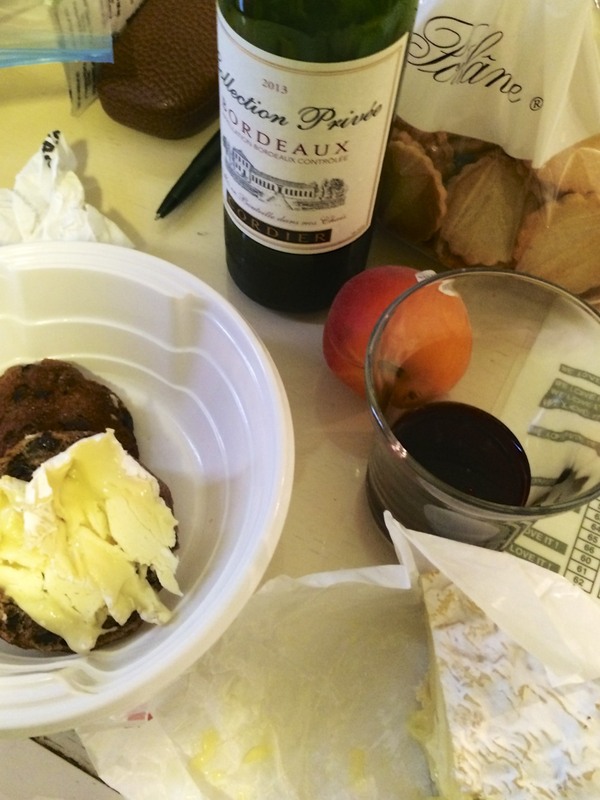 I, and we, eat and drink lots of yummy stuff…in my favorite haunts, and chez moi. Every time I make it over to Paris I say that that particular trip was a life changer for me. And so I say this about this particular stay. It was fabulous for many disparate reasons. It was life affirming. I am always ecstatically happy in my second city. Indeed. As I always do when I am there, I went to see a wise friend for an Alexander Technique lesson. My friend trained under Walter Carrington. And then she assisted on his training for a good seven years or so before starting her own training. I rely on her input and guidance. As the lesson progressed, she kept saying how my body had changed since last year, how my back was totally different. “Hmmm,” I said “it must be because I am in a small training.” She told me that, indeed, I was getting double the attention. More like triple or quadruple I would say. I think that my trainer would be so delighted and gratified to know how my teacher in Paris was wowed by the progress I have made under his aegis. I confided to her about my bouts of emotionality and she told me that Walter used to always say to his trainees “don’t let anything get you down.” She told me that anytime I had a doubt about continuing with my training, or indeed about anything, that I should think of Walter’s saying. And so I shall! It is such great advice! It’s interesting to me that the teachers I know who studied with Walter, though they all have their own individual takes on teaching, they share a certain, strong commonality. I know that they are so lucky to have had the experience of studying under him. These are the teachers of the Alexander Technique with whom I seem to have a natural affinity. I got some other great advice in my lesson…to think of the insides of my knees instead of the outsides when getting in and out of a chair et al. Hey! Works for me! And…makes me smile! When teachers would say to me “think knees away” or some such…well…I never thought of the backs of my knees! Seems counterintuitive. Knees are in the front. And of course when I think “knee” I think of my torn meniscus that led me to start writing this blog. As I am writing this post, I am neither in Paris nor in NYC. I am someplace in between…even though I am physically home in NYC. I kinda haven’t left one city nor arrived in the other. I’m sticking to my neighborhood for the moment, as I’m in major jet lag mode. But soon enough I’ll be trading the #4 métro line for the Broadway local. Listening to Doucette the cat, purring by my side, will beckon me back gently to my native city. 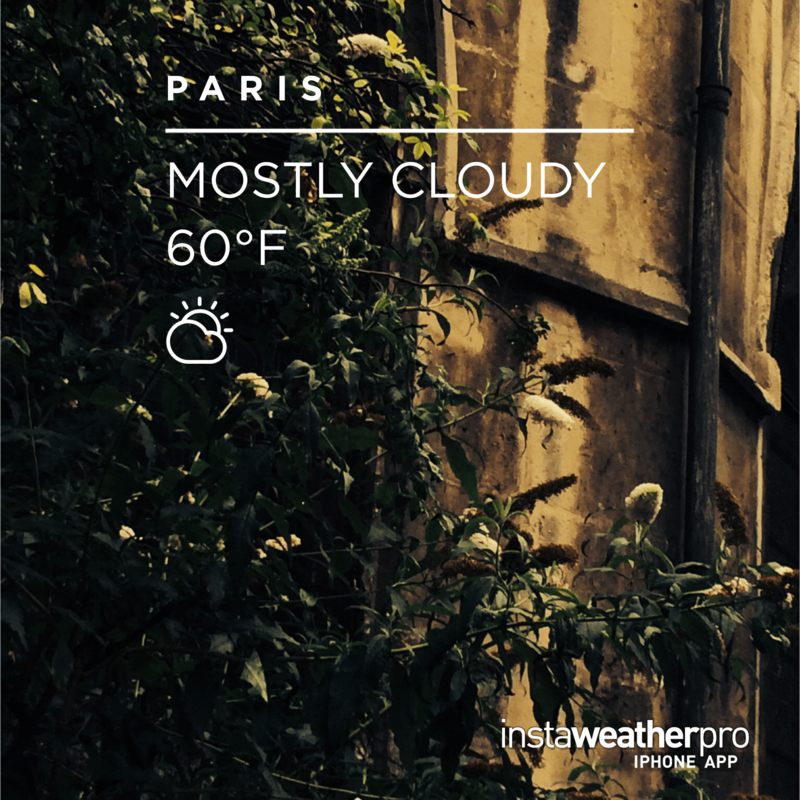 Well instaweather chéri…it was actually raining…but you got the temperature right! I just love it. In answer to your question – a resounding yes in my opinion but you know best. Follow that gut of yours.